Disney Chairman and CEO Bob Iger revealed the renderings for Disney Cruise Line’s three newest vessels setting sail in 2021, 2022 and 2023. During a speech at The Walt Disney Company’s annual shareholders meeting, Iger showed an early rendering of the exterior of the newest Disney ships that will elevate family cruise vacations to a whole new level. The new Disney vessels will embody the elegance and romance of the golden age of ocean cruising with unique touches all their own. In addition, the ships will feature more innovation, new technologies, spectacular entertainment and more Disney stories and characters than ever before. 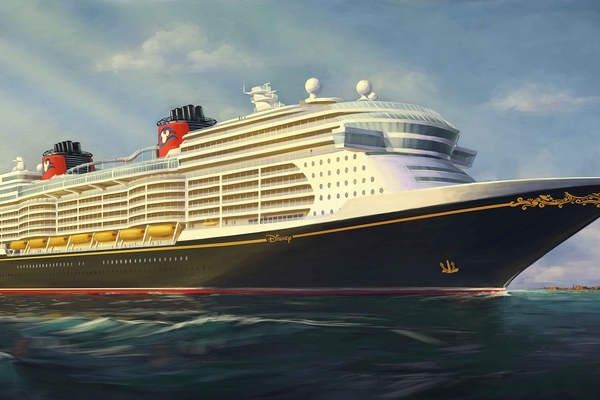 The new vessels will cater to Disney Cruise Line guests of all ages, with each ship being approximately 140,000 gross tons and boasting an estimated 1,250 guest staterooms. Disney Cruise Line officials also announced last week the Star Wars Day at Sea and Marvel Day at Sea experiences would return in 2020.